Tony Cygan / You’ve seen him on the track. You may have even seen him in the ring. Mr Cygan tells us about his absence from the Motocross community. Tony has come to terms with the same fact many will face. Some day, the ride will come to an end. What we do now or then, will be a choice we have to live with. Maybe we should think about what people will say about us or remember what kind of person we were, sportsmanlike or skillwise, because once these moments are gone, the are gone.I was able to watch him during his last match where he had the entire crowd alive and cheering him on as he pummeled his way to a knockout in 1:57 in the first round of his 3rd professional fight. 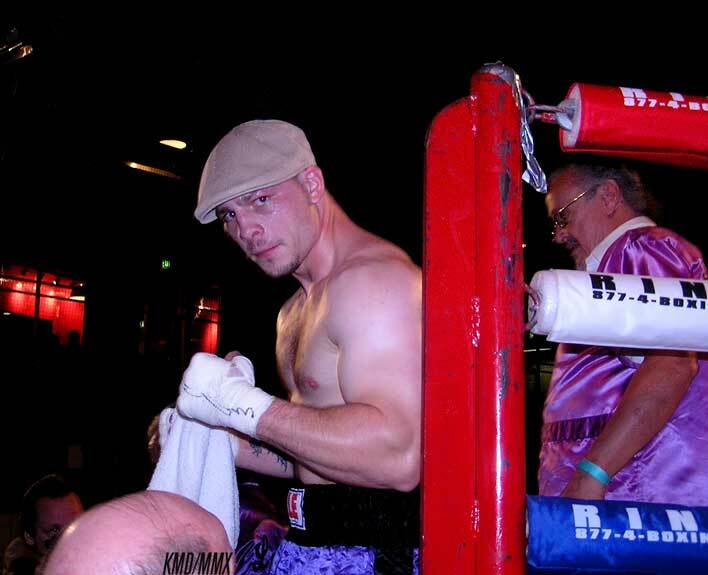 Magilla, known for his fun, clowning, and overall, good nature, was in the zone that night. He seemed meditative, withdrawn even, as he warmed up awaiting his match. When he was in the ring, he waited for a weakness in his opponent, then unleashed a quick and strong barrage of punches like…a Cyclone. Receptionist: Hello, __________, how may I help you. 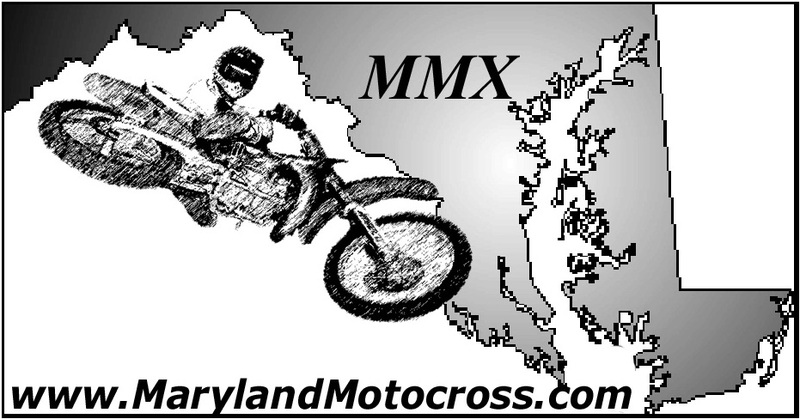 MarylandMotocross.com: (Bad Irish Accent) Yes M’am, may ah speek ta Toooony Cygaaan, pleeez? Receptionist: You sure can, whom may I ask who’s speaking. MM.com: Yeees dear, I waaanted tooo say hi to da boyyy while ah waz in towwwn. Receptionist: Um, okay please hold. MM.com: (To Kevin Duffy) Man they put me on hold like it was cool! Was that a good accent? Kevin Duffy: No, not at all. You’re not going to keep acting like that are you? MM.com: Hello, is this the Tornado? TC: No, Cyclone, how ya doing? 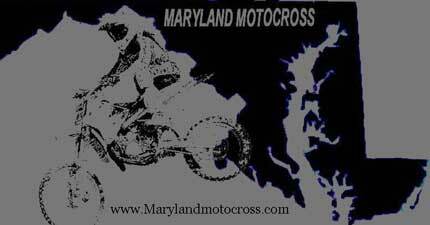 MM.com: Good, this is Vance from MarylandMotocross.com, you got time for a quick interview, you busy? TC: I’m working, but go ahead, what’s up? MM.com: Okay, I just wanted to say awesome, awesome match Friday, so you’re 3-0 now, right? TC: Yeah, with three knockouts. MM.com: All right. How would you compare motocross to boxing? TC: They are both very grueling and require intense training regimens. MM.com: What would you say in the main difference between racing against many riders versus fighting against one man? TC: Obviously, on the track many more things can happen to you, but both are very dangerous, anything can happen at any moment at any given time. MM.com: Your fans would like to know if in the future, you plan to make an appearance at the track. TC: Yeah, definitely. I would love to once I get some free time. MM.com: Okay, one of your friends who rode with you wanted to know, when he heard that you changed your name from “Magilla” to “Cyclone”, if it is something like Cashus Clay changing his name to Muhammed Ali? TC: No, uh-uh. Magilla will always be a permanent part of me. Cyclone is just my boxing name. Magilla is an icon, a fixture. MM.com: Cyclone does sound kool. Now, you leaving the world of motocross and moving to professional boxing, has it affected your relationship with Captain M? TC: No. M and I will always be close. He’s like a household product in my book. MM.com: Outstanding. Are there any words or piece of advice from him that stick out in your mind? TC: (Laugh) Yeah, definitely, like Chhhhh! Ooom- Chhhh! MM.com: (Hard laugh) Yeah, he’s said that to me on more than one occasion. So, what is your best MX moment? KD: (whispering to Vance) Yes It was. TC: I actually don’t remember, but ask Kevin, he’ll know, and then I celebrated victory and then I fell off. MM.com: If you had any advice for anyone new to MX, what would it be? TC: Train hard and ride it like you stole it. MM.com: Good motto, good motto. If you could spend 5 minutes with anyone in the world, alive or dead, and ask them anything, what would it be, and who would it be? TC: I would ask Jimmy Hendrix what world he was in when he was playing on stage. MM.com: Okay, the last match when you KOed the guy in 1:57 of the first round, you were hitting him hard and fast, at any time did he start making any womanly or girly noises. MM.com: Oh, I guess Mike Tyson just faced a unique opponent that one time. The people must know, what’s up with the KANGOL hat, are you trying to revive old-school pimpin? TC: No, it’s just me. 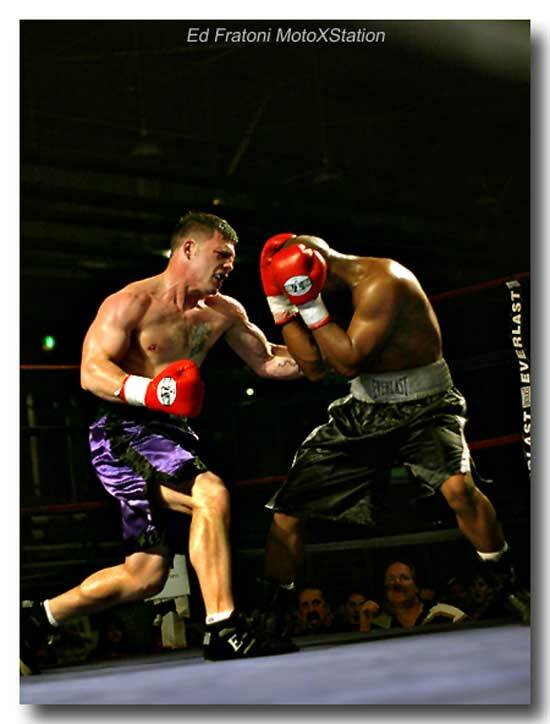 MM.com: Who would you say has had the most influence on your boxing career, Mrs. Yancy, Mrs. Gentree, or Mr. Pride Rivers? MM.com: What’s your favorite track to attend? MM.com: And it’s going to be at the Du Burns arena in Canton, once again? MM.com: When you get ready to box, do you do anything special? TC: I listen to some music and disappear for a while. MM.com: I heard a rumor that before you ride or box there is a tradition that you held close to your heart, and that is a cup or two of Dunkin’ Donuts coffee, do you still practice? TC: Yup, still do, I’m addicted. MM.com: Sweet, is there any events that you’d like to attend this year. TC: Yes, I’d definitely love to attend a Regional or something like that, come out and show my support for the local riders, its always big. MM.com: What if she were to ask you to teach your boxing secrets to them? TC: I would… do…a secret training regimen. I’d be interested. 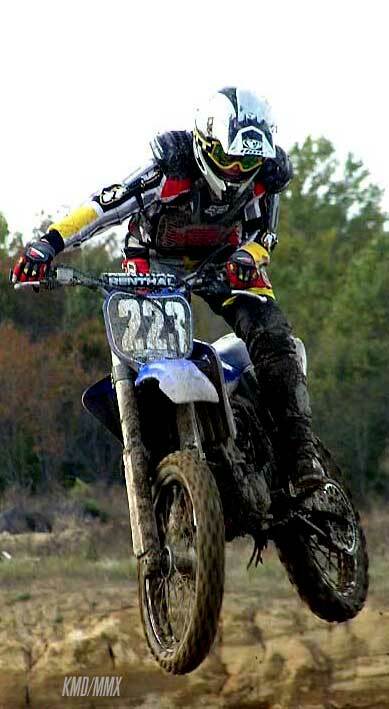 MM.com: What age do you think is the best to start training in motocorss? MM.com: All right. Who’s your favorite Pro rider? TC: Hah! Probably Mrs. Motocross. MM.com: Any suggestions on who could be Mrs. Motocross? MM.com: I was thinking Bea Arthur myself, but I guess one Bea’s as good as another. MM.com: Well, thank you very much for your time Mr. Cygan, we look forward to your return. What time should people that plan on attending your match at the Du Burns arena show up at on November 19th? TC: Thanks, I look forward to returning. Oh and about the match, between 7 and 7:30 is fine. MM.com: Oh, one more thing, Rumor also has it that you have a frying pan in your boxing locker, may I ask what you use it for?